Its original writers and animation studio are involved, as well. Futurama continues to be the animated franchise that just won't die. Fox and developer TinyCo (a divison of Jam City) announced today that they're working on another mobile game from the series -- Futurama: Worlds of Tomorrow -- which will notably have creators Matt Groening and David X. Cohen involved. Even better, TinyCo is also working with the show's original voice actors, animators (Rough Draft Studio) and some of its writers. We still don't know what the game is actually about, but it's expected to land this summer as a free title. The developers will also be revealing more during a Facebook Live chat this afternoon. Worlds of Tomorrow follows 2015's Futurama: Release the Drones, which was a fairly straightforward puzzle title. 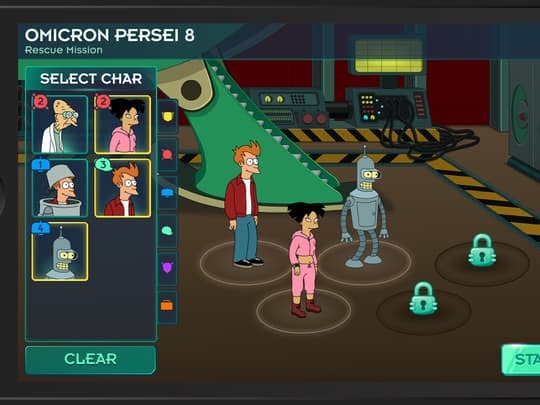 Given the amount of talent involved in this game, it'll likely do a much better job of recreating the Futurama vibe. Let's just hope it's more like the show's early seasons, and less like the disappointing later episodes.